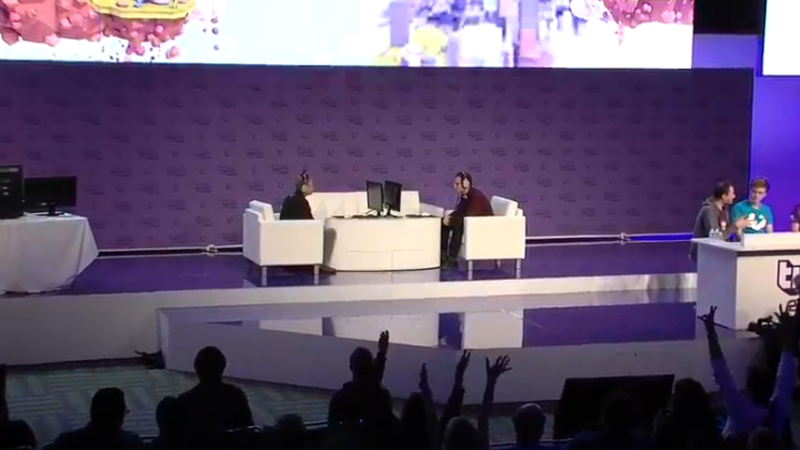 One of the coolest things at Twitch’s very first convention this weekend was a bunch of Hearthstone matches, in front of an audience, between two very laid back CEOs: Blizzard’s Mike Morhaime and Twitch’s Emmett Shear. You might think someone like Mike Morhaime would easily obliterate anyone with some kind of perfect developer’s deck, but that was not the case. They played a set of three games, and Morhaime lost the first one. He came back in the second game with a little help from Trump (not that one!). The popular Hearthstone player then switched sides and gave a few tips to Emmett Shear for the third and game-point match. You can watch the whole thing here (It starts around the 14:35 mark).